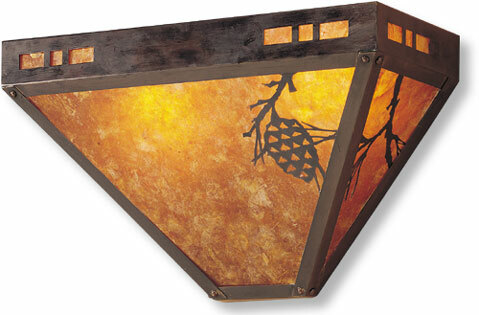 Complete the look with this great addition to the table lamp! Shown with amber mica. Height: 8.5", width: 14" projection: 6". Two 60 watt bulbs max.